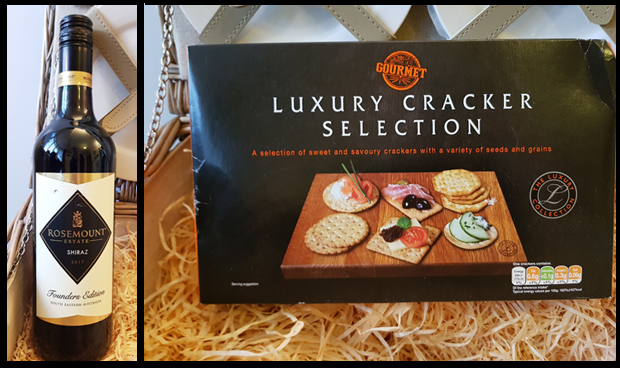 When Hamper.com asked if I'd like to review one of their hampers, I knew exactly which one I wanted to review, I chose the luxury wine, cheese and pate hamper for 2 reasons, first and foremost I am a cheese and wine kind of girl, and secondly and more importantly I adore this hamper! It is from the luxury wicker hamper range with plates and cutlery! 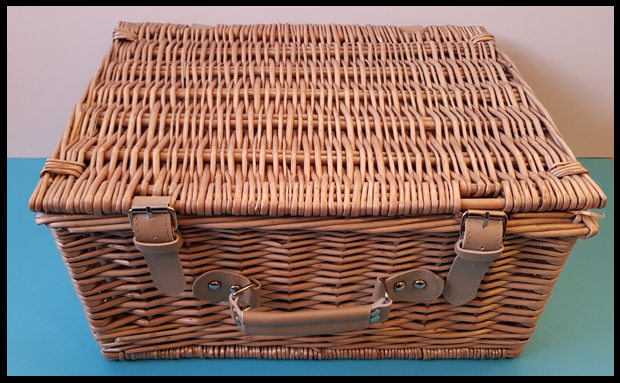 I love that I can use it throughout the year for picnics in true retro style, with my plates and cutlery packed away in the top of the lid, the blanket in the bottom with plenty of space for food and drink. But I'm getting ahead of myself! 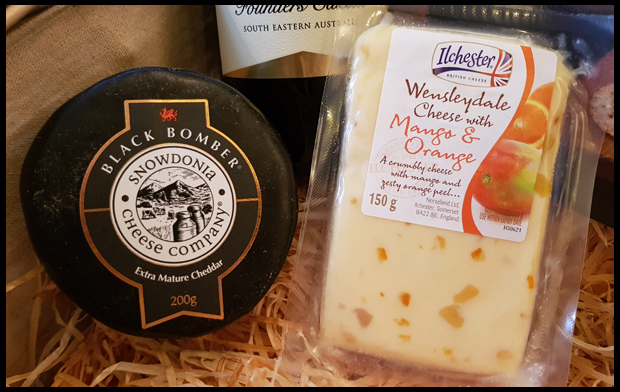 First, let's see what is in my fabulous hamper and what goodies I will be tucking into this Christmas. 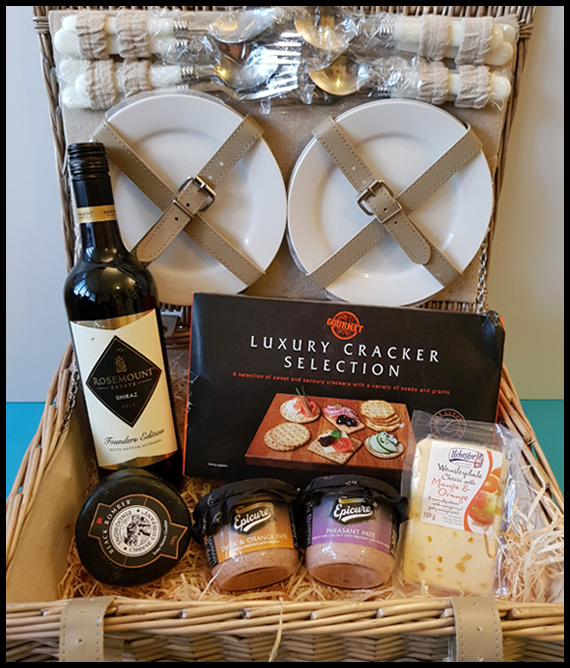 This hamper is currently available on Hamper.com for £69, and I think that is a great value considering the style of hamper you are receiving, and what's more if this is being purchased as a gift, there is the option to add a personalised message. Hamper.com is one of the longest established not to mention one of the biggest hamper companies in the UK. Starting in 1979 as a fish farm business in Oxfordshire they are now known worldwide and have come a long way since then. 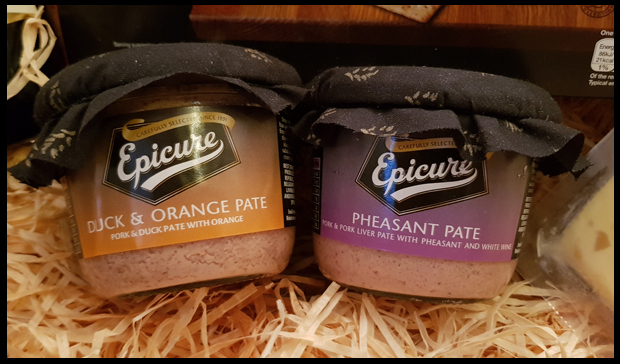 They have a great range of Christmas hampers, every type possible from ultimate the food hampers, to bottle hampers, to a chocolate Lindor tree! All of which I love the sound of, and feel I'll be one of many joining the gym in the new year thanks to all these luscious goodies! I know what you mean, paper is far better for young ones, but I like the idea of the china plates.